These days, there are lots of ways to get your hands on free audiobooks. You can grab some copyright-free material from popular torrent sites Top 6 Free Torrent Alternatives for The Pirate Bay Top 6 Free Torrent Alternatives for The Pirate Bay The Pirate Bay shut shop. But there are lots of alternatives out there. You just need to know where to look. Here are the top six torrent sites other than The Pirate Bay. Read More , you can join a book club Are You on the World's Largest Online Ebook Club? Are You on the World's Largest Online Ebook Club? Every bookworm should join at least one book club, but you may be too busy for a traditional one... so let's compromise with a global online book club. Read More , or you could even head to your local library Save Money on Tech by Taking Advantage of Your Local Library Save Money on Tech by Taking Advantage of Your Local Library If you're like most people, you probably haven't set foot in a library for years. Here are awesome library services that will bring you back to save money on tech. Read More . If all those methods sound like too much effort, why not download the Audiobooks app for your iOS device instead? If you run iOS, the Audiobooks app is one of the best resources for free books. As of this writing, over 5,100 titles are available — and the number is still growing. The app mainly focuses on the classics. You can expect to find lots of works from authors such as Robert Louis Stevenson, Jane Austen, Lewis Carroll, and William Shakespeare. However, the app has recently started introducing premium books. They include more recent releases that’ll appeal to a younger audience. Why Choose the Audiobooks App? 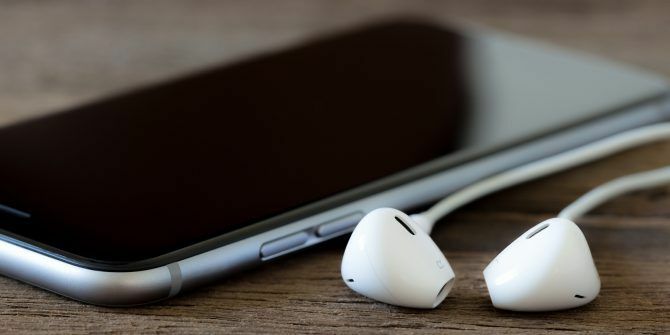 Aside from the thousands of professionally narrated free books, the Audiobooks app offers an impressive array of features to satisfy keen listeners. All the usual audiobook tools, such as chapter control and a progress bar, are present. The app also boasts a curated list of podcasts, downloadable content for offline listening, AirPlay support, a dark mode, and a sleep timer so you don’t accidentally miss a whole story once you shut your eyes. Lastly, it’s worth noting the app is compatible with your Apple Watch. I’d love to know which is your favorite audiobook app? What makes it so unique? You can leave all your opinions in the comments below. Explore more about: Audiobooks, .